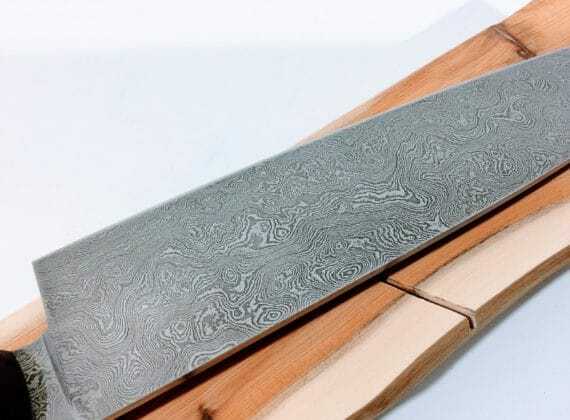 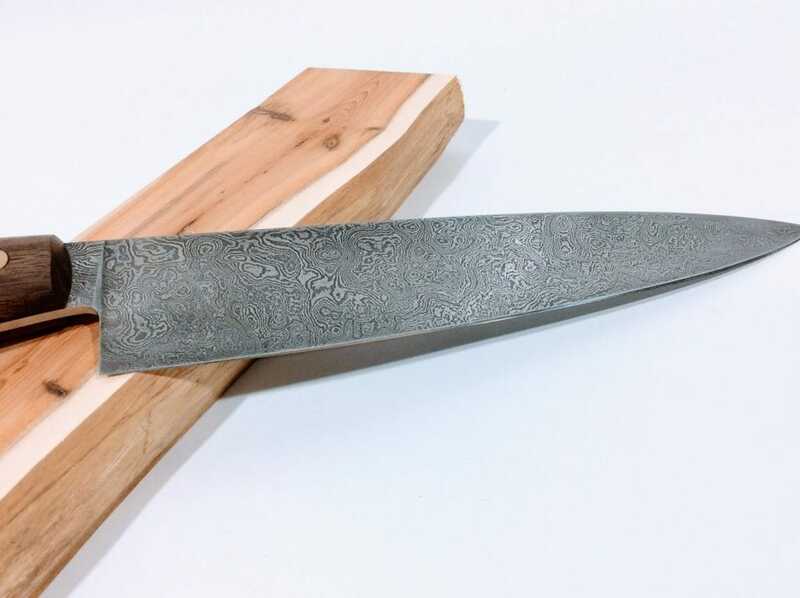 144-layer 'random' pattern Damascus. 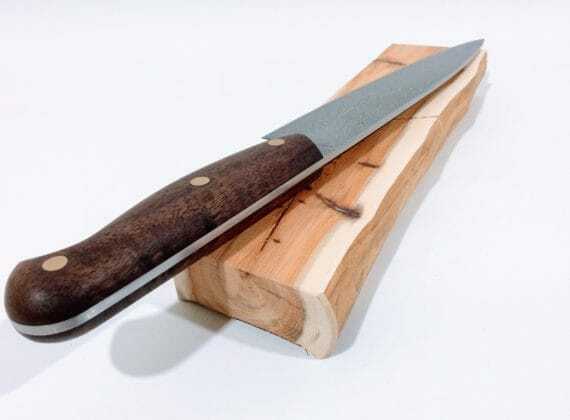 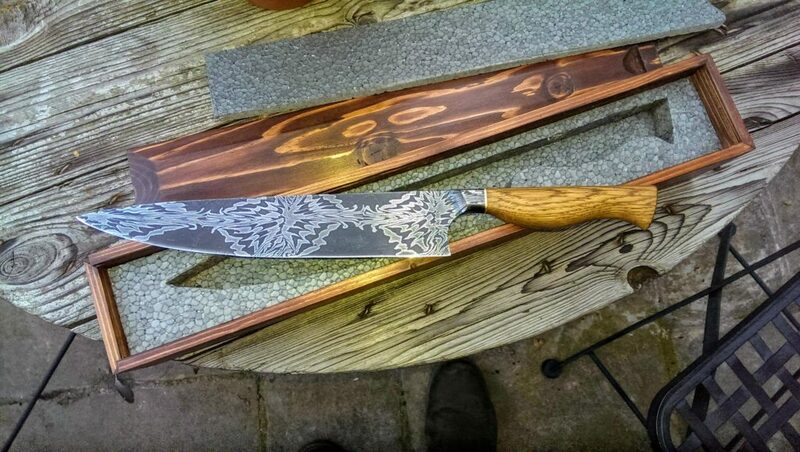 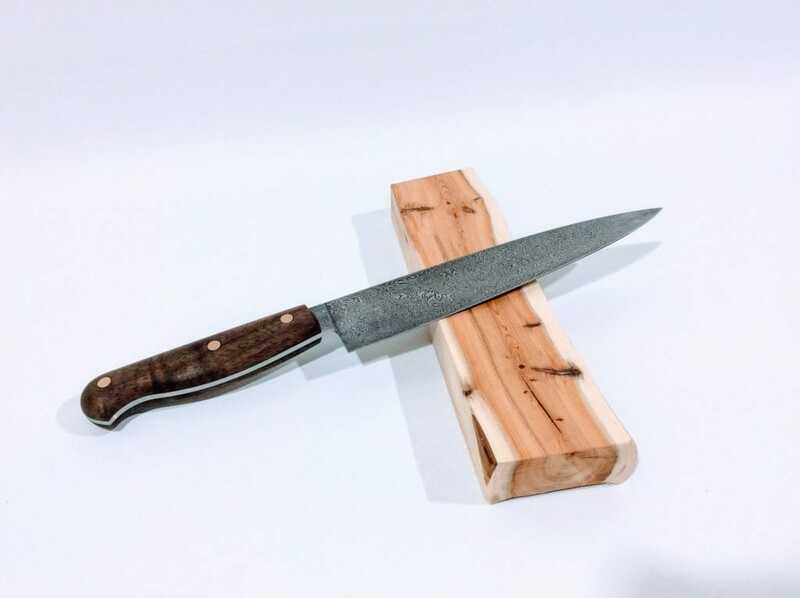 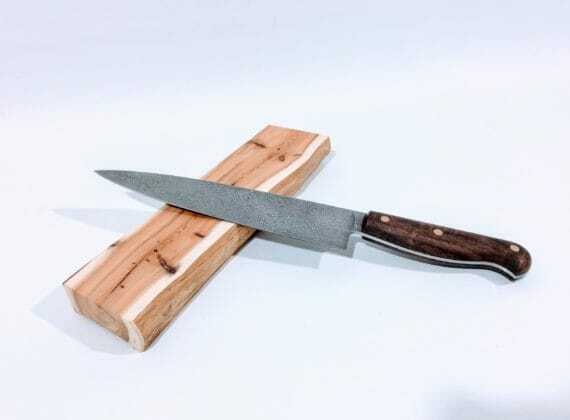 A full tang design with walnut scales and brass pins. Balances at heel of blade.